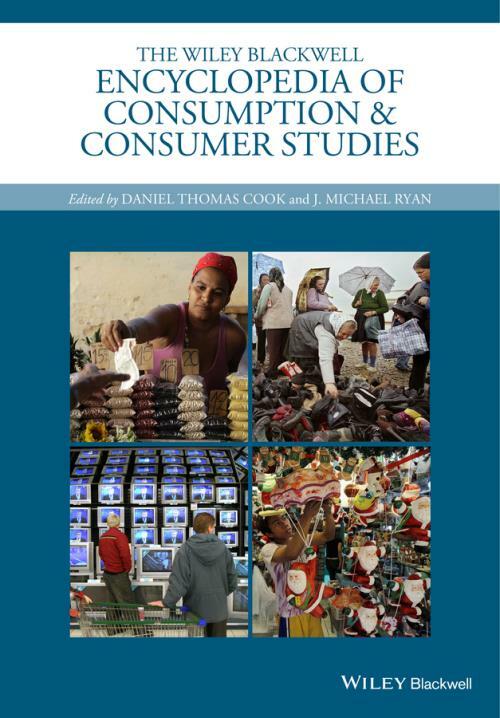 The Wiley Blackwell Encyclopedia of Consumption and Consumer Studies provides definitive coverage of a field that has grown dramatically in scope and popularity around the world over the past two decades. With more than 200 A Z entries varying in length from 500 to 5,000 words, it contains clear and concise definitions and explanations of key concepts, persons, and approaches. Each entry has a list of suggested readings and comprehensive cross–references. The Encyclopedia also includes a lexicon by category, a timeline, and an introduction by the editors. The Encyclopedia strives to bring together the latest research and theories in the field, with an emphasis on expanding the coverage outside of the West. The entries are written by a group of expert international contributors across a range of disciplines, from sociology, cultural studies, and advertising, to anthropology, business, and consumer behavior. The content is available on an online platform with interactive cross–referencing links and powerful searching and browsing capabilities within the work and across Wiley s comprehensive online reference collection, or as a single volume in print. Assembling the latest research and information in consumer studies in one clear, concise, and accessible resource, this is an invaluable reference for scholars, researchers, and students at all levels.